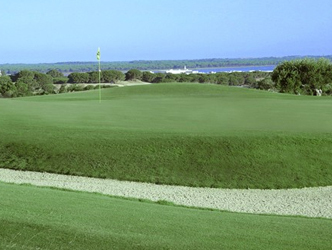 The Sanlucar golf club combines two very distinct styles. The layout or the first 9 holes is mainly of British links tradition, although the course is not located by the seaside. It possesses fairways with small hillocks, deep bunkers and dry landscapes. The last 9 holes stand out as a little more, American, in design. Here we can find more water hazards and several doglegs and greens divided in platforms. The main characteristics to be highlighted are the very high quality green surfaces and the moderate undulations which make holes easily distinguishable from each other. There is also outstanding views over the Guadalquivir River and Donana.